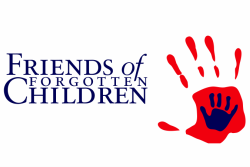 Friends of Forgotten Children maintains the Clothing Closet, an area of our facility that distributes seasonal, gently-used clothing, shoes and accessories to clients in need. Members of the community help support the Clothing Closet with generous donations of clothing for all sizes--babies and children, teens and adults. Currently in need of boy's and men's cold weather clothing! 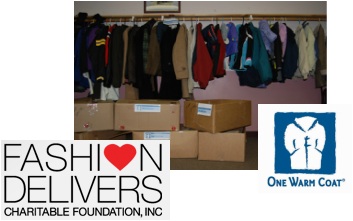 Friends of Forgotten Children is supported by annual giving programs such as One Warm Coat and Fashion Delivers through Burlington Coat Factory on Storrs Street in downtown Concord. Last year's coat drive brought in over 500 warm coats for our clients, young and old. Thank you!